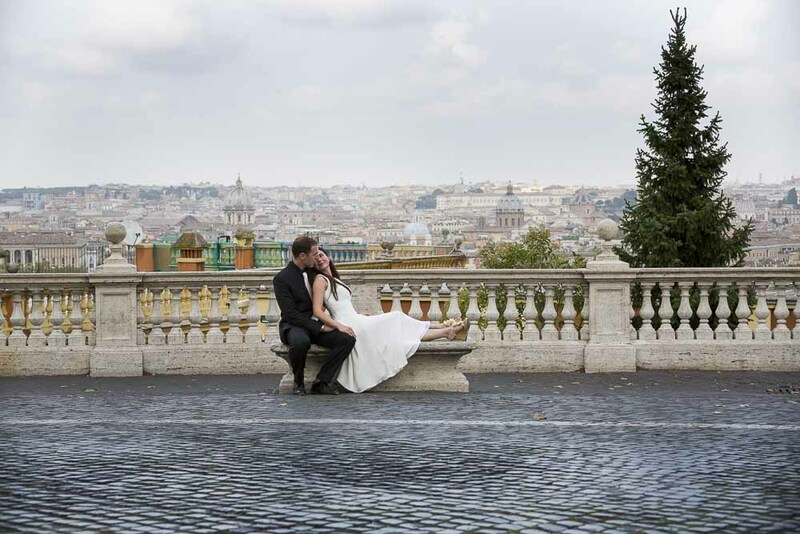 We met on the Vatican side of Rome and used a car service to enter the city to start our honeymoon photo session. As we were driving in we took the opportunity to photograph Saint Peter’s dome from the unique perspective of Via Piccolomini. A strange effect that sees the dome get larger and larger as you pull away from it. Smaller and smaller as you get closer. With the right lens the effect and be replicated in photography as in the image you can see below. 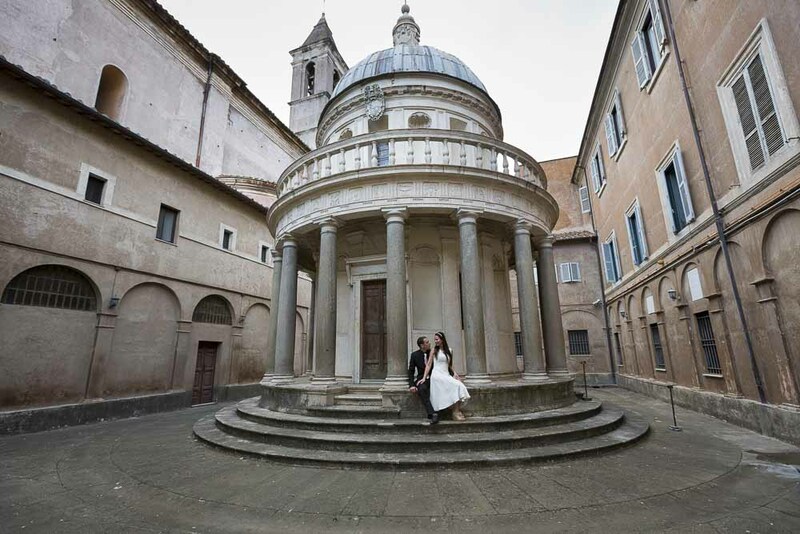 But this was just a start as we had yet to reach the Gianiculum hill; our first location in Rome. With its unique view over the city and over the roman rooftops. So after taking pictures of the water fountain with beautiful emerald green water we crossed the street and focused in on the beautiful panoramic view. Just around the bend there is a really particular location: a small circular temple called Tempietto del Bramante contained in the San Pietro in Montorio church courtyard. A truly unique location which offers breathtaking views on this circular structure. 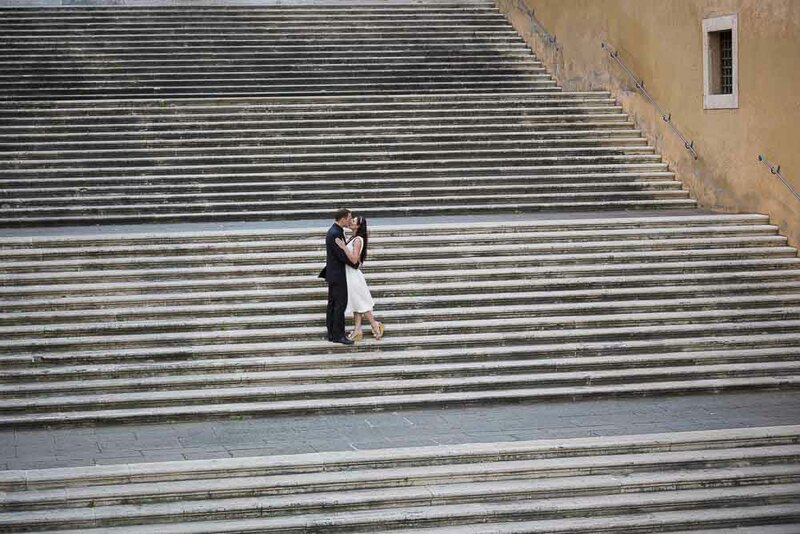 Great to snap some very romantic photos. The Coliseum is a must visit and photograph location. Perhaps the most iconic landmark in Rome. So we chose this unique angle view of it from a distance. Focusing in on the photography and leaving out the many bystanders from the image frame. From here you also get a really nice view on the environs. Including the Roman Forum in the far distance and Via dei Fori Imperiali. 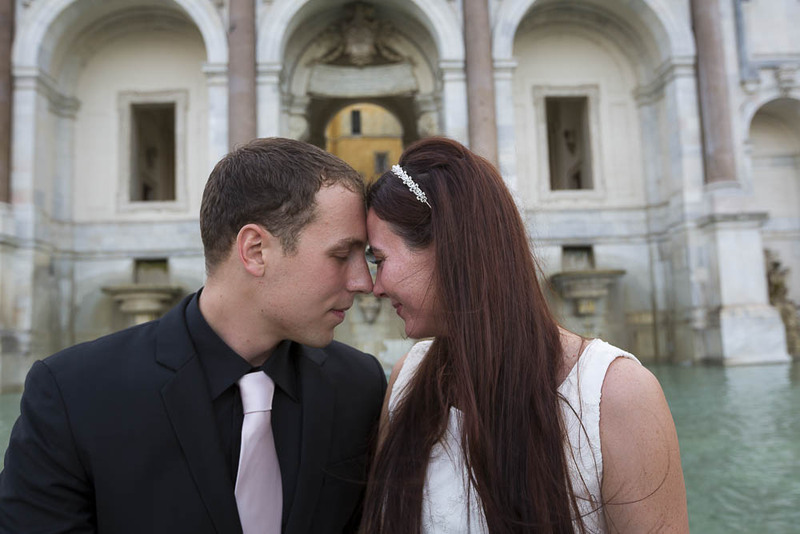 The Campidoglio square was our last destination and where we concluded our photo sessions. But not after taking some nice snapshots on the really wide and tall staircases. 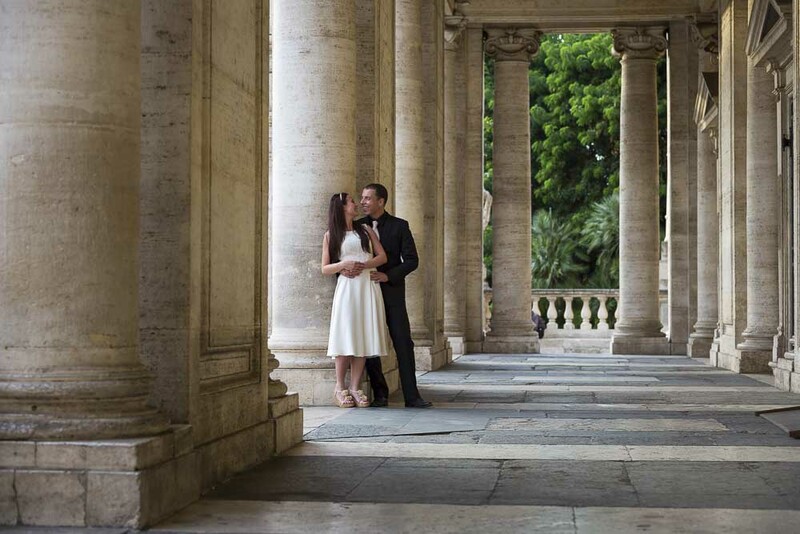 As well as the ancient statues that can be seen from the piazza and the columns which provide such nice lighting. 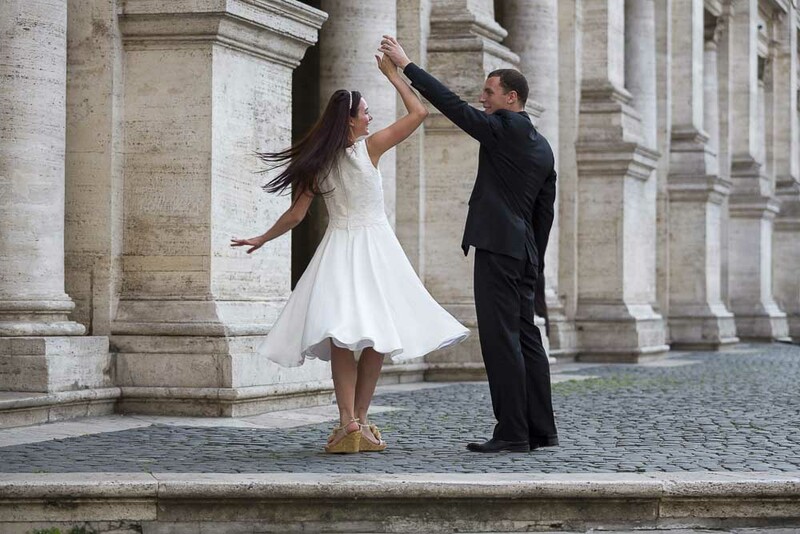 Destination honeymoon pictures in some of the most iconic landmarks of Rome Italy. Wearing wedding attire and using a car to reach the different city locations.